On May 9th the Iranian Quds force that belongs into the Revolutionary Guards Corps launched a rocket salvo against the Israeli forces in the Golan heights. The IDF had anticipated the move and placed several Iron Dome batteries to protect the region, so the attack did very little damage and several rockets were shot down. 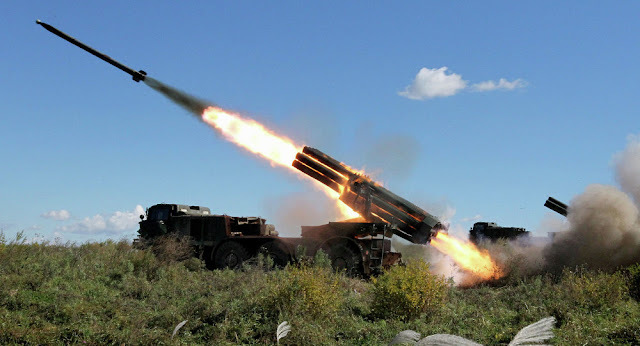 There have been conflicting reports on whether the weapon used to attack Israel was a Russian built BM-27 Uragan or an indigenous Iranian Fajr-5. The Fajr-5 system is an indigenous Iranian 333 mm artillery rocket that is mounted on Mercedes-Benz 2624 trucks in 4-tube launchers. System has a maximum range of 75 km and rather abysmal accuracy with a 3 km CEP. Combination of a 900 kg class conventional warhead and the low accuracy makes the FAJR-5 more of a terror weapon than any kind of precision battlefield instrument. 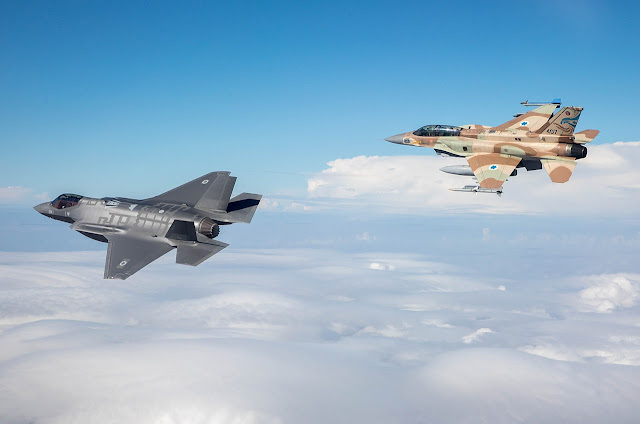 The Israeli Air-force had apparently been waiting for a provocation as the resulting counterattack against the launchers and the Iranian military infrastructure was an overwhelming one. Unlike in the response for the February drone incident, the IAF was well prepared with a large strike package that had a sizable SEAD element on hand. While nothing precise is known about the composition of the Israeli force, it managed to force the Syrian army to turn on the air defense systems Russia had supplied to it. The Syrian army managed to shoot several of the longer range SAM:s against the IAF fighters, but none hit their intended targets. The Israeli’s claim to have struck against most Iranian installation in Syria. The Israeli SEAD element managed to destroy at least some of the SA-2, SA-22, SA-5 and SA-17 launchers and radars during the engagement. It’s noteworthy that the SA-22 aka. 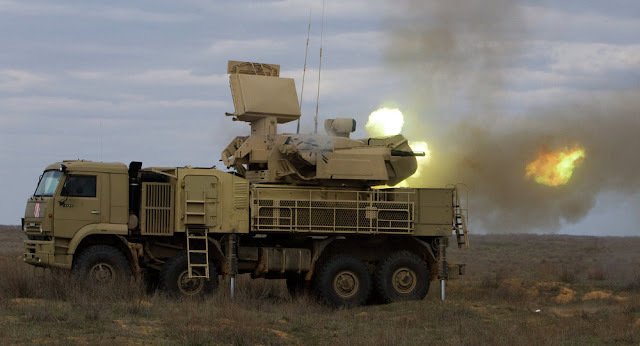 Pantsir-S1 systems that are designed to act as a point defense against cruise missiles were unable to defend themselves against the limited number of Israeli munitions sent their way. The Russian air-defense systems deployed to protect the Russian expeditionary force in Syria didn’t engage the Israeli strike package. It’s highly likely that Russia was informed about the attacks in advance as the Israeli Prime Minister was visiting Moscow on 9.5.2018. It’s interesting to see what aircraft the Israeli Air-force used in the attack and that was the F-35I employed. This also casts a further shadow of doubt over the Russian air-defense systems and their ability to intercept coordinated attacks. On the other hand the level of training and integration of the Syrian army might be too low to effectively use these systems without direct Russian support. It’s also interesting to see how the Russian-Iranian relations develop as Russia doesn’t seem to be willing to protect Iran or Syria from Israeli strikes. As an open conflict against a high tech nation like Israel could tax the limited number of advanced Russian weapon systems available for expeditionary ops, it's not surprising that the Kremlin seems to avoid that scenario. 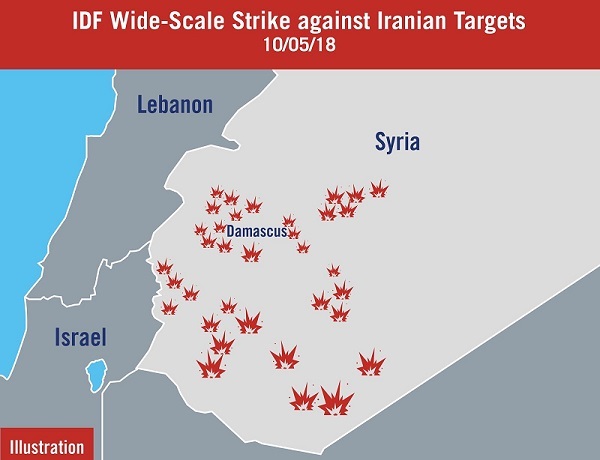 As Iran seems to be unable to respond with a symmetric way against Israel, the next retaliation by Tehran is most likely an asymmetric one.